Posted by Christian Knightly on February 4, 2009, updated September 24, 2015. Hello friends, designers, and clients! 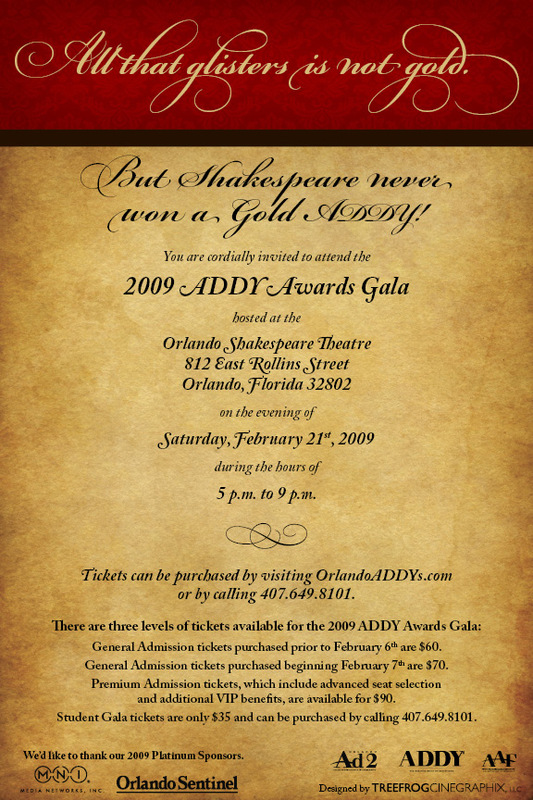 Wanted to announce that the 2009 ADDY Awards Gala is coming up soon, so head on over to OrlandoADDYs.com and get your tickets. Discount tickets are on sale until the 6th and then the price goes up. 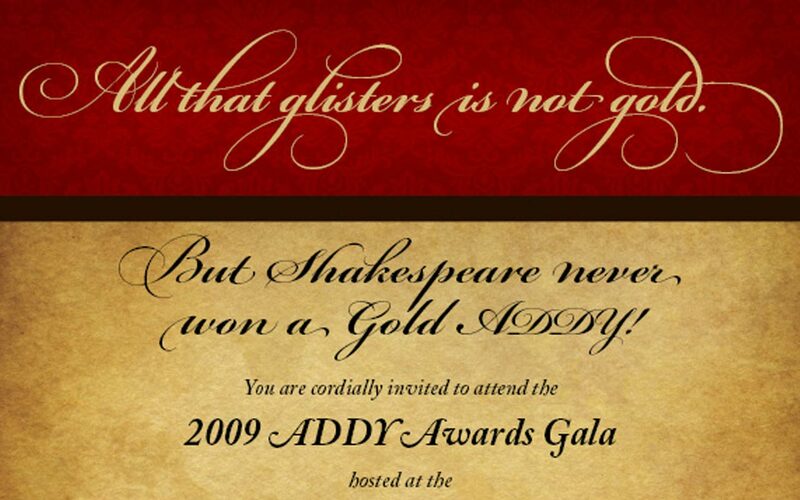 If you’re unaware of what the ADDY’s are, it is a yearly 3-tiered competition sponsored by the American Advertising Federation (AAF). Entrants first enter through their Local chapters, and if they receive a Gold Addy they are automatically forwarded to the District Level. Win a Gold on the District Level and you move on Nationals. Posted by Christian Knightly on January 20, 2009, updated September 5, 2014. We are now accepting applications for our pro-bono project for 2009.